A very special way to start the Christmas Holiday! Happy faces, anxious faces, excited faces, children with lots of energy, all happy to start decorating their very own gingerbread house…..some for the 3rd, 4th and 5th year….. 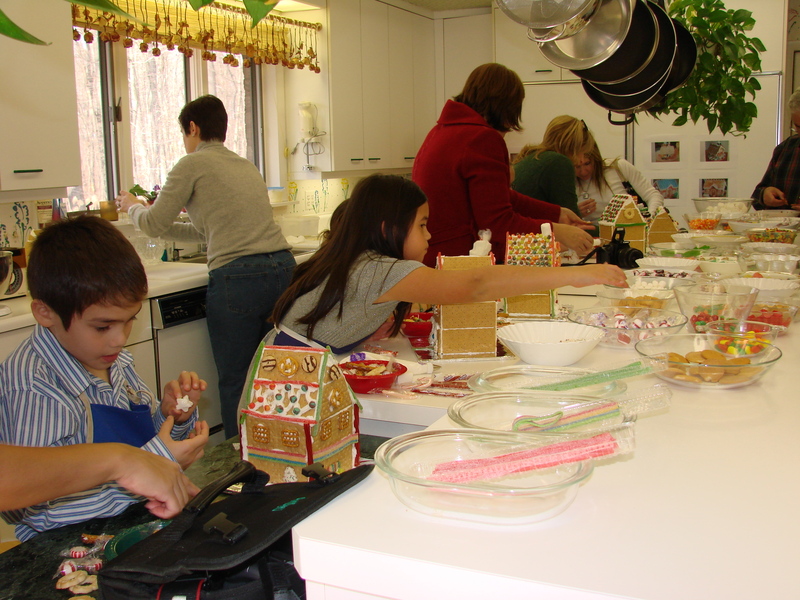 It all starts in the family room where they get to put on an apron, and look at pictures of gingerbread houses. Gathering ideas of how to decorate the little house is very important for the children as well as their adult companions. Mostly mothers accompany the children, but there are grand-moms, grand-dads, and aunts as well. This is also the time to calm down! I ask the children to sit on the floor while I tell them a story, or I encourage them to tell me the story of their last year’s gingerbread house. 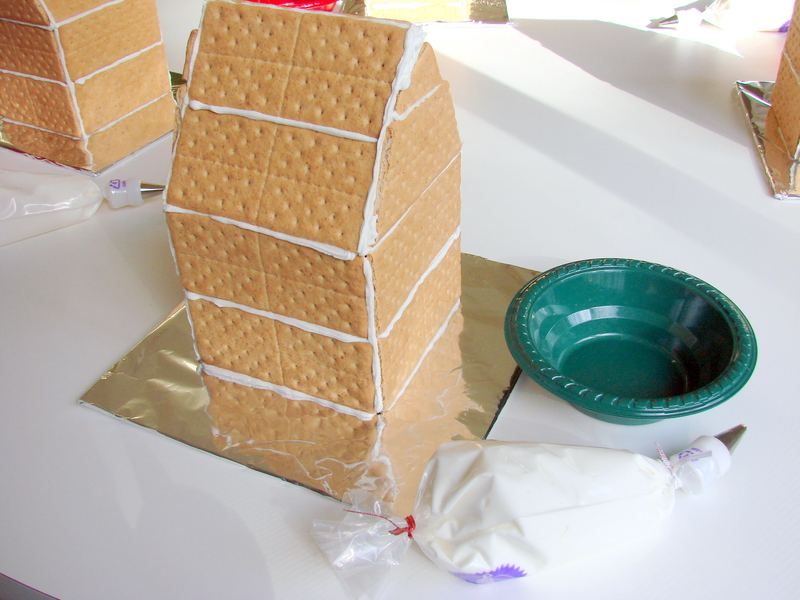 For example: How did the gingerbread house survive the Christmas Season? Who ate it? Did they keep it? These are all very important question….and what amazing little stories they tell! After the stories we head to the kitchen…. 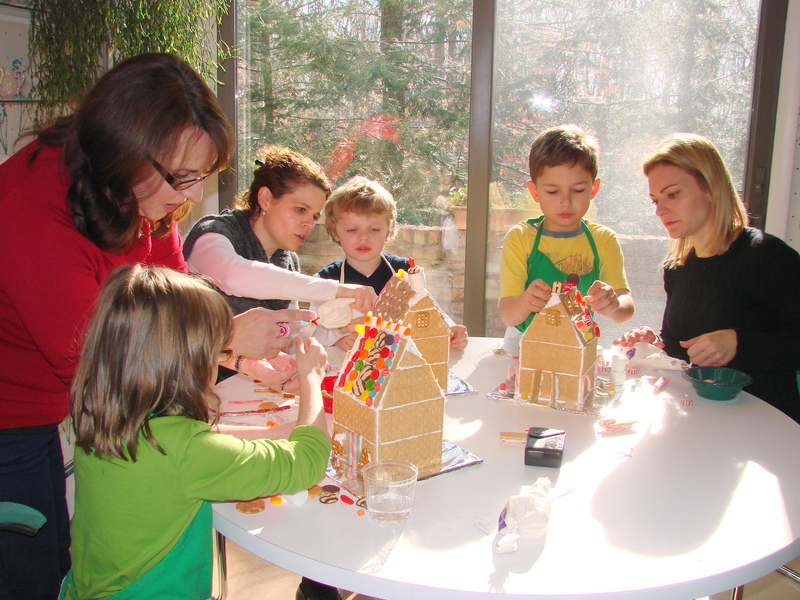 Some children come with ideas how they will decorate their gingerbread house having discussed it with their parents for a week before coming to Maja’s Kitchen. 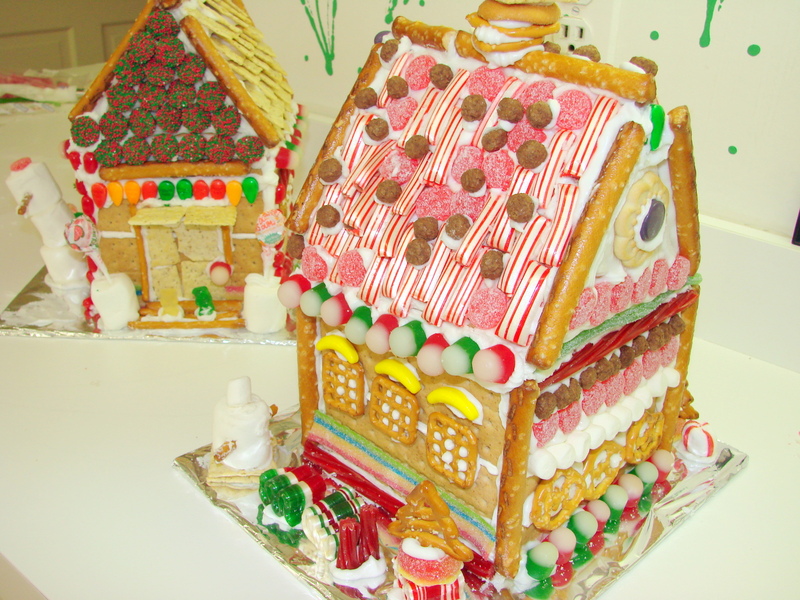 Some bring drawings of their gingerbread house…..as an inspiration ….. 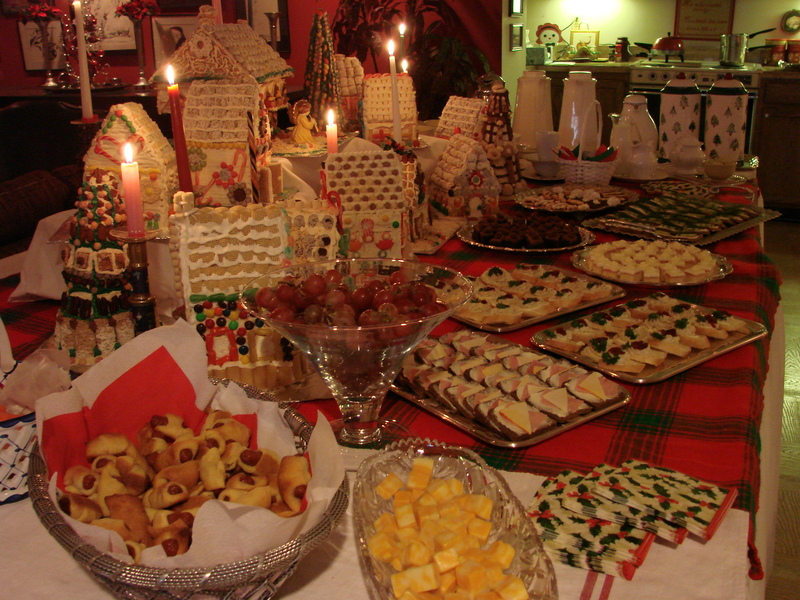 Yet all that changes when they see how many candies they have to choose from….and, at the end it is not the “architectual” drawings that are important – but, what kind of candy they want to put on the house with the anticipation of eating it after the holidays are over…. 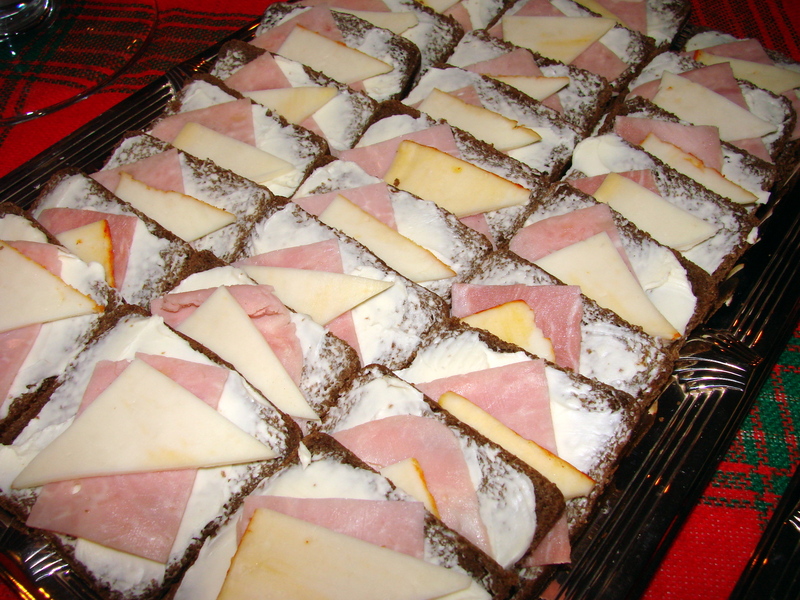 Here are some photographs of what has happened in Maja’s Kitchen over this past weekend! 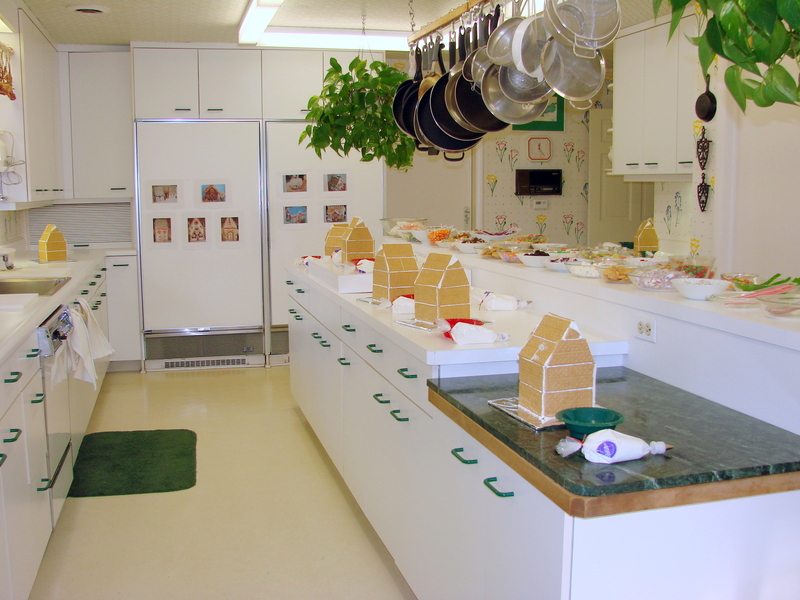 Kitchen is ready for the children! This is the work station that each child finds prepared for them. Moms and children are Best Friends! 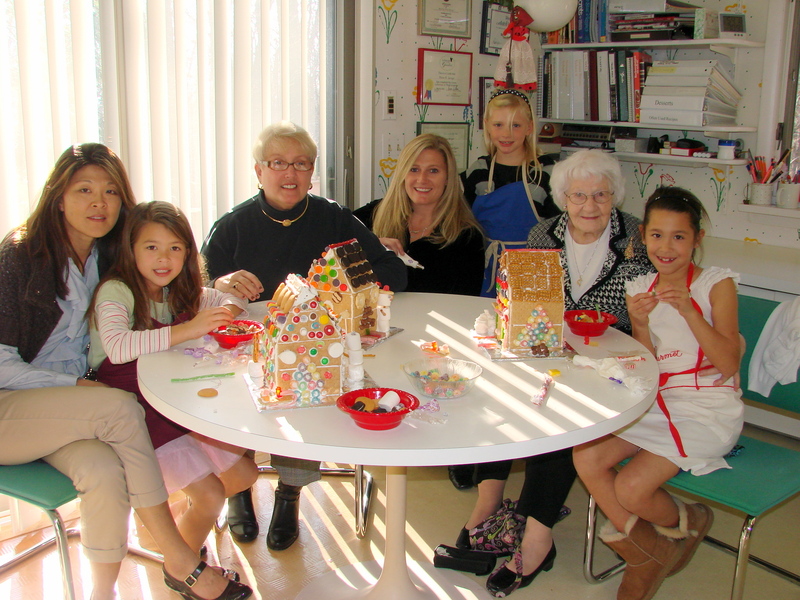 Four generations gather to decorate gingerbread houses! 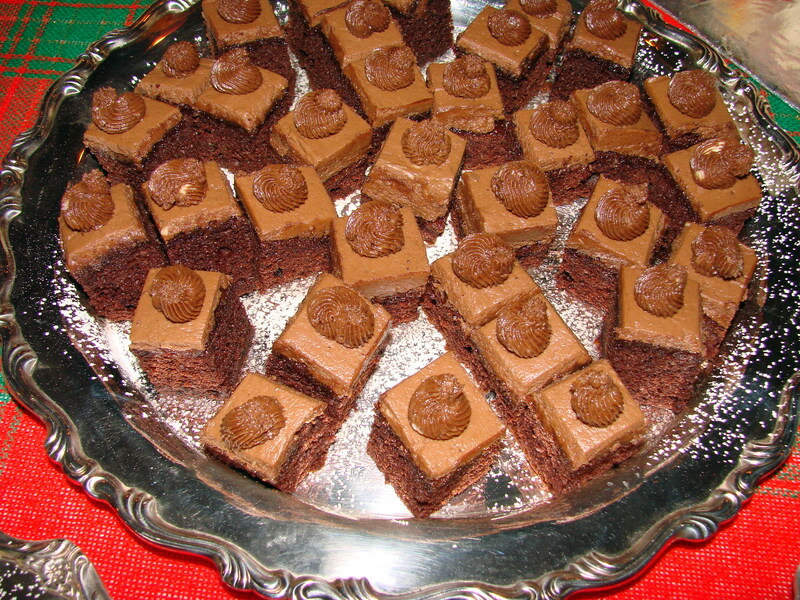 served along with hot chocolate and tea! Composed especially for a children’s buffet! Mix all ingredients and transfer to a food processor…process the salad until it is a pate consistency. 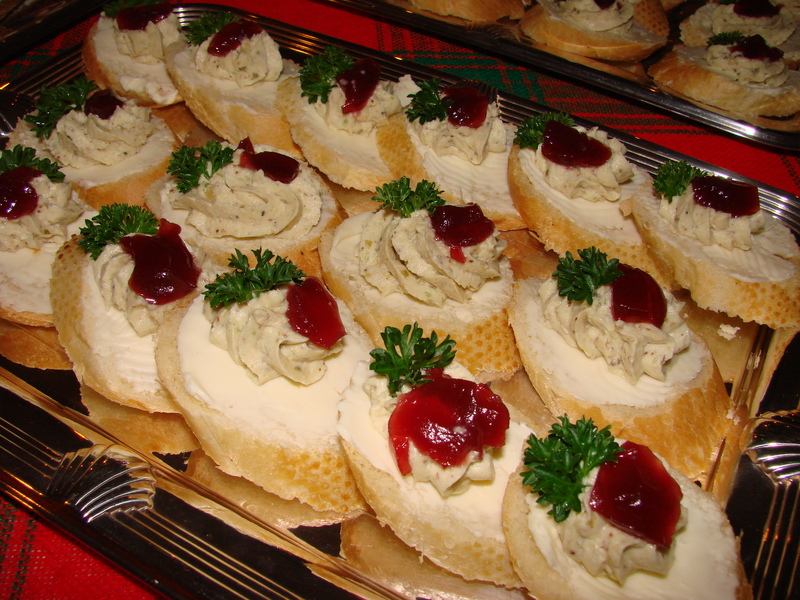 Serve it on buttered baguette slices or any kind of bread of your choice. 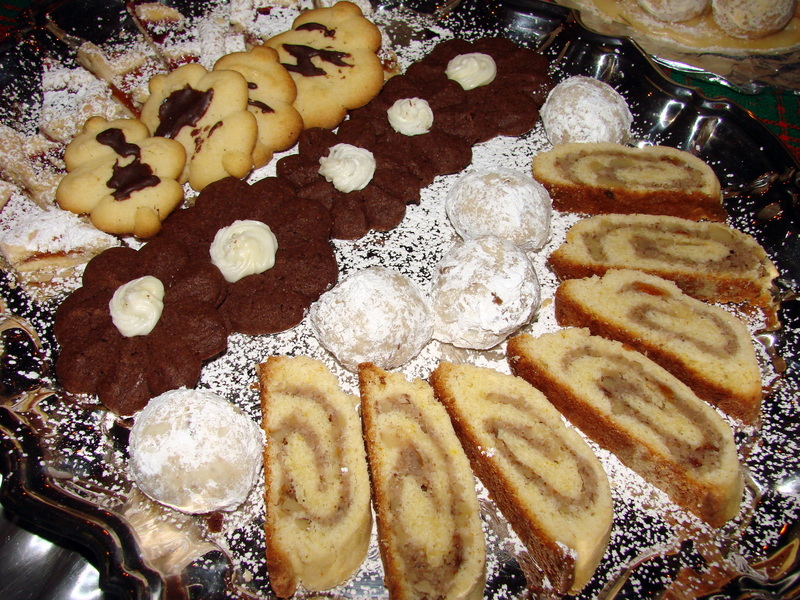 More pictures of the buffet! 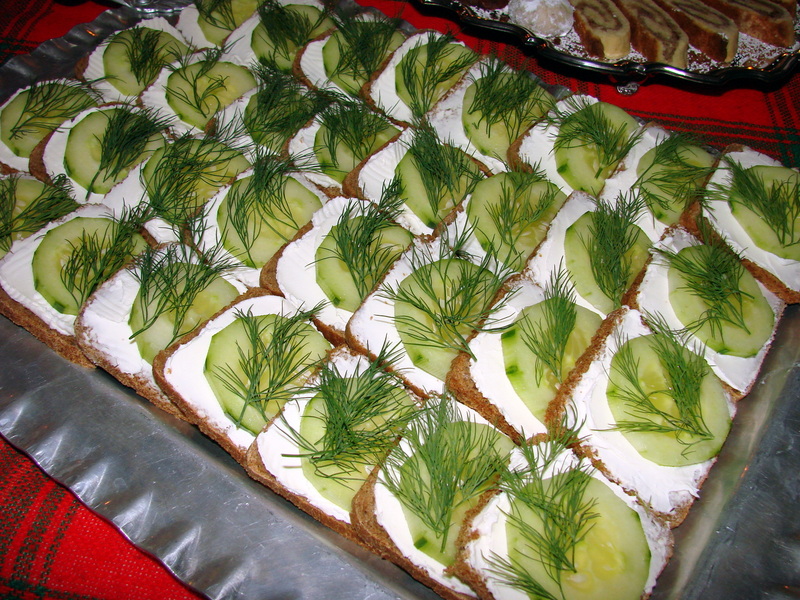 There were also grapes, mini carrots, sliced cucumbers and last but not least lots and lots of Pigs in the Blanket.………. and it is 20 years as part of Maja’s Kitchen. Wishing everyone a happy time preparing for Christmas ! How do you start your Christmas Holiday? Your home must smell so fresh and cinnamony! As usual your photos are wonderful and you are helping those children begin traditions that they will carry with them always! Hi Jill…………thank you for your sweet comment….the house has smelled of Cinnamon since the end of October when I built the first houses…..It is rather nice….to wake up in the mornings with cinnamon wafting through the rooms….one forgets the cold mornings outside….. I have had letters from some who made gingerbread houses when they were small with me…asking for instructions of how to build the houses because they want to start doing them with their children now….. It warms my heart when I hear from these “children” who now are adults and carry on what they saw here in my home…. Lots of love to you………..and am wishing you and your family a wonderful Christmas……….. The love that you share in this traadition is well communicated. I only wish we lived near enough to participate with you! Happy Holidays to you and Dale and your families! And thanks for sharing this with your friends. I am speechless… and that, my friend, means that I am simply in awe. While the pictures are awesome, the fact that you are keeping this tradition alive is: priceless!!! 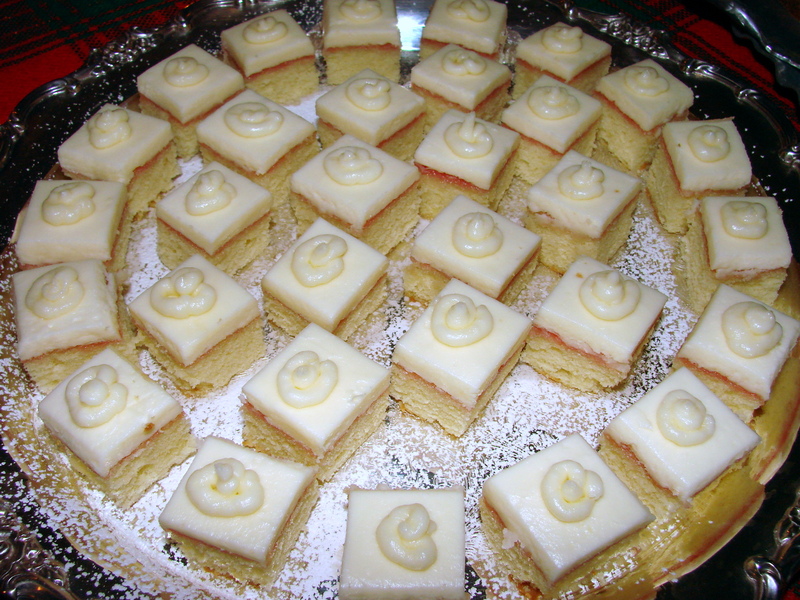 My culinary hat is off to you… take a bow and accept my applause and accolades!!! Melanie….you bring tears to my eyes….thank you for your so very kind words….as you know when one loves what one does…it is not difficult nor troublesome, nor a chore…it is something that makes one happy….. Such fun…and I am happy and feel blessed that I am able to create this memory for so many…. 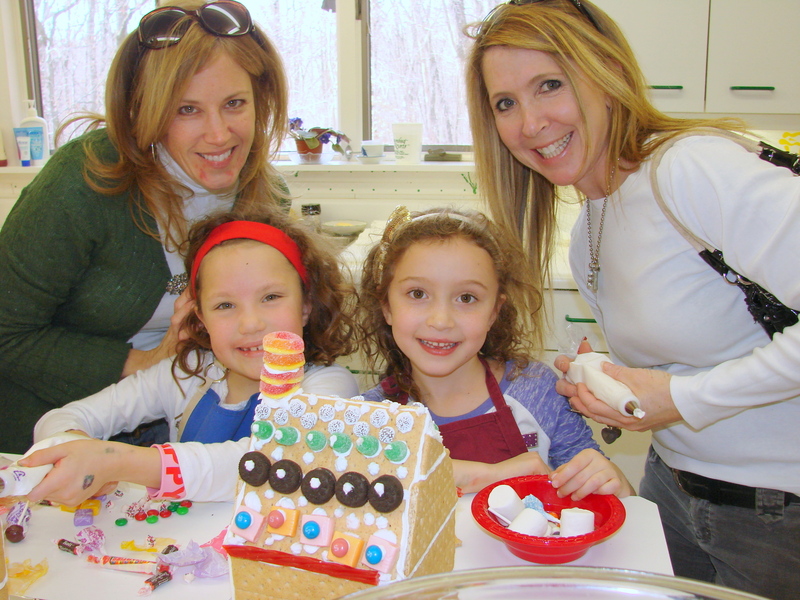 How proud you must be with helping these young children and adults prepare for Christmas by making the gingerbread houses. My congratulations to you for the 30th anniversary of such a wonderful tradition. Keep up the good work Maria. Our blessings for a very Merry Christmas and a healthy and very Happy New Year to you and Dale.